Election-year memo to Democratic candidates: Don’t talk about the economic recovery. It’s a political loser. 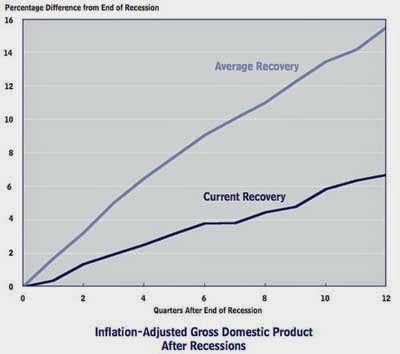 In addition, Stan Greenberg, James Carville and others wrote that in head-to-head polling tests the mere mention of the word “recovery” is trumped by a Republican assertion that the Obama administration has had six years to get the economy moving and its policies haven’t worked. Coincidentally or not, Democrats have largely shelved the “R” word.